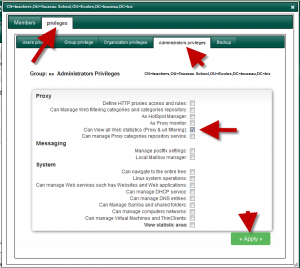 Home » Statistics » How to provide statistics privileges with Active Directory ? 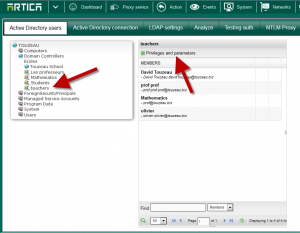 How to provide statistics privileges with Active Directory ? 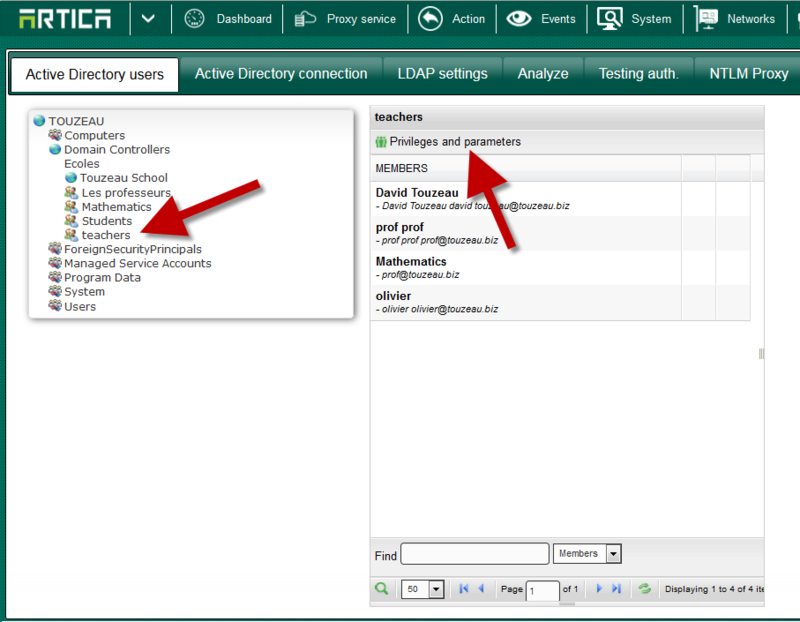 If your Artica Proxy is connected to your Active Directory server you are able to provide “Statistics privileges” to Active Directory groups. 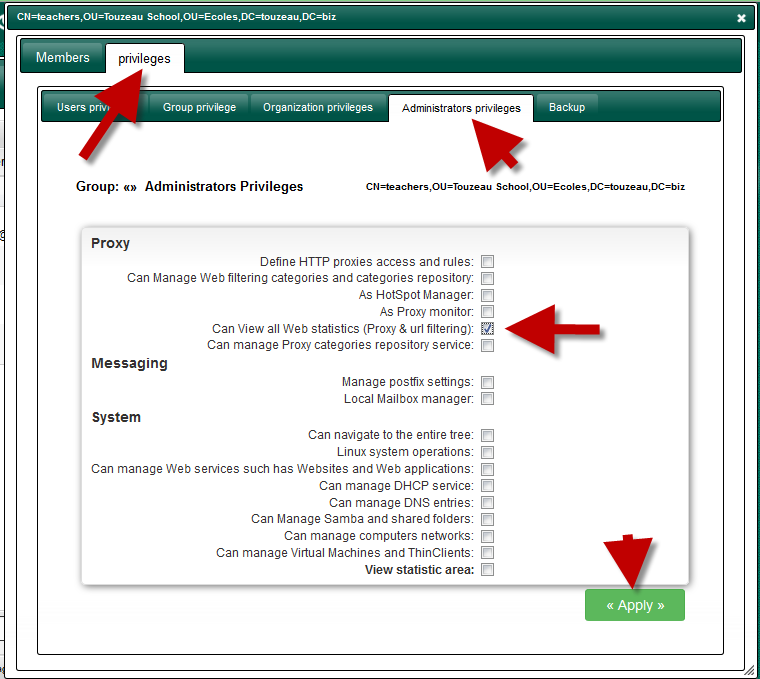 In this case, when connecting trough the Artica Web interface with their Windows account, privileged members will have access to the Proxy statistics Area. On the top menu, select “Members” icon. Browse your Active Directory tree and choose your group. On the right pan, click on “Privileges and parameters” button. Check the Can View all Web statistics (Proxy & url filtering) option.